The Blakley Corporation and our employees demonstrate our pride in the communities we serve by participating in a variety of extraordinary “giving-back” projects. Design for a Difference is a movement created by the International Design Guild, a cooperative of elite flooring retailers across America. 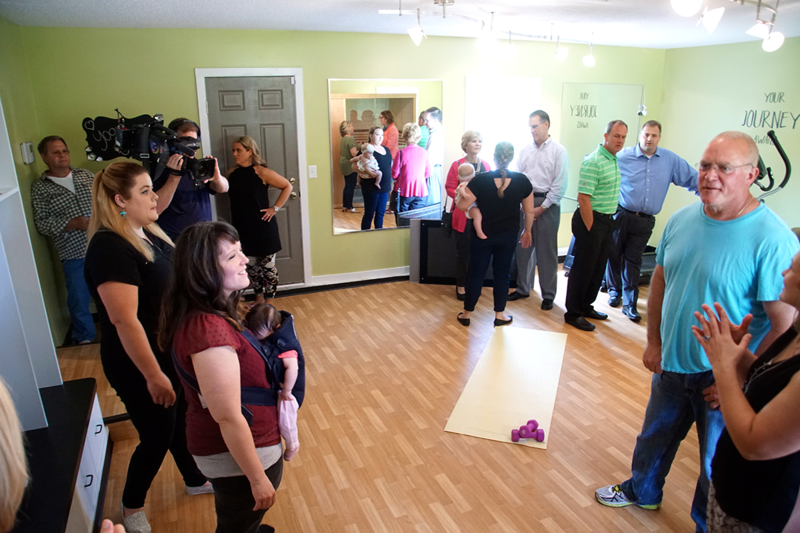 As a member of this group and supporter of non-profit organizations, Blakley’s has completed it’s third “make-over” making a difference, impacting individuals in our communities by creating interiors that affect and alter human behavior. To address today’s problem of heroin addiction, Laci Giboney, a recovered addict, set out to realize her dream to create a rehabilitation center for heroin and drug addiction in Hamilton County. 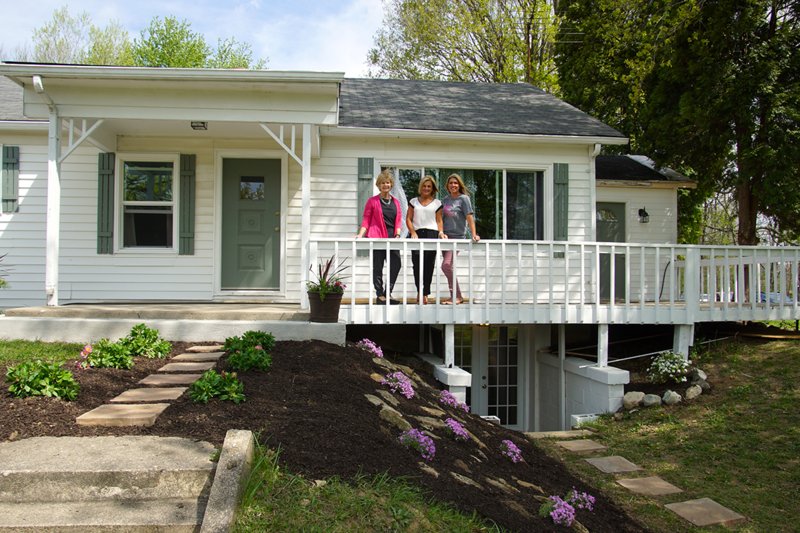 A three bedroom two bath home was re-designed to house 10 women in rehabilitation. 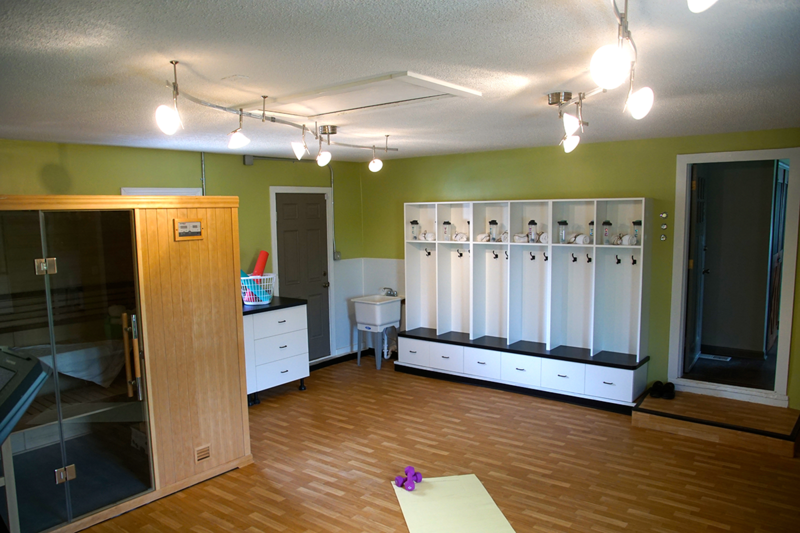 The garage was made into a gym complete with a sauna, a necessary component of treatment. 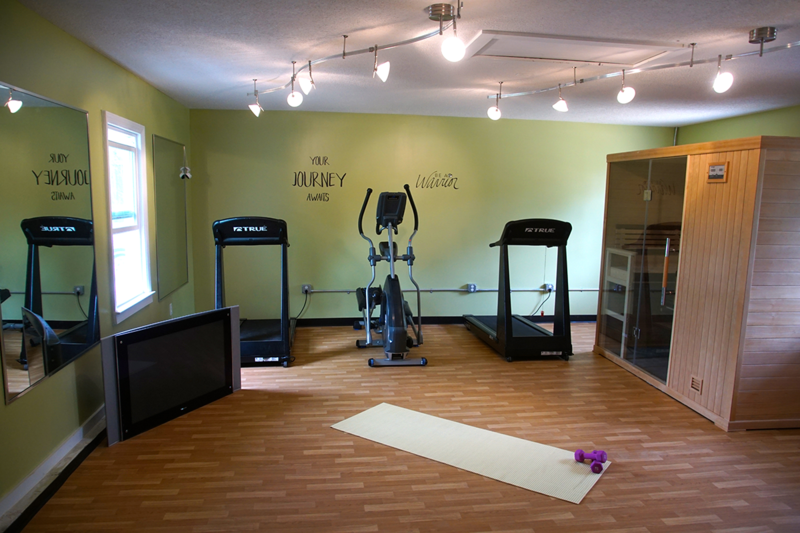 Blakley’s furnished the gym floor and secured additional furnishings to complete the room. 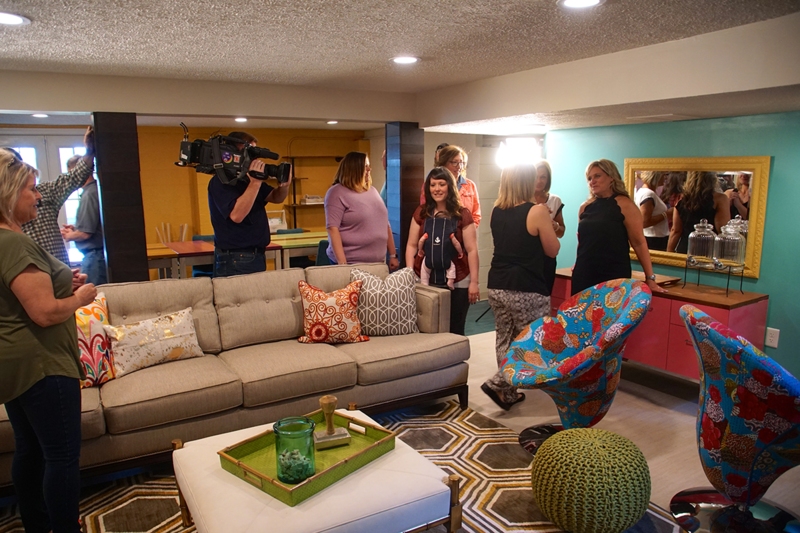 Blakley’s also finished the basement to create an inspiring living, gathering space with an art area for creativity. 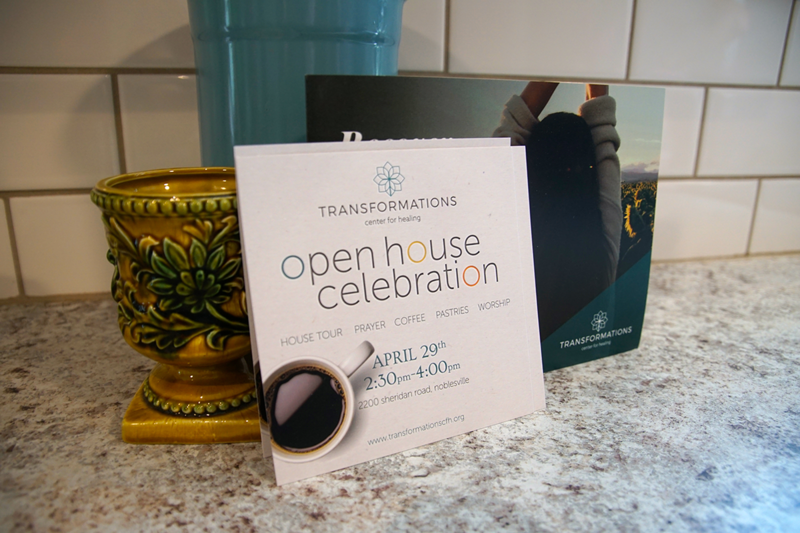 Thank you to Deanna Whetstone, Whetstone Interiors, and the Blakley Team. Supporting more than 250 individuals with intellectual and developmental disabilities, Outside the Box, was operating all day education programs and “making do” in a 1960’S nursing home. Through Design for a Difference and Blakley’s three educational group rooms were transformed into rooms that positively affected measurable behavior. Hallways were re-carpeted to benefit all clients and a large screen touch screen was donated too. In addition, a building standard was set and more rooms continue to be transformed each year affecting more and more residents. Design does make a difference. 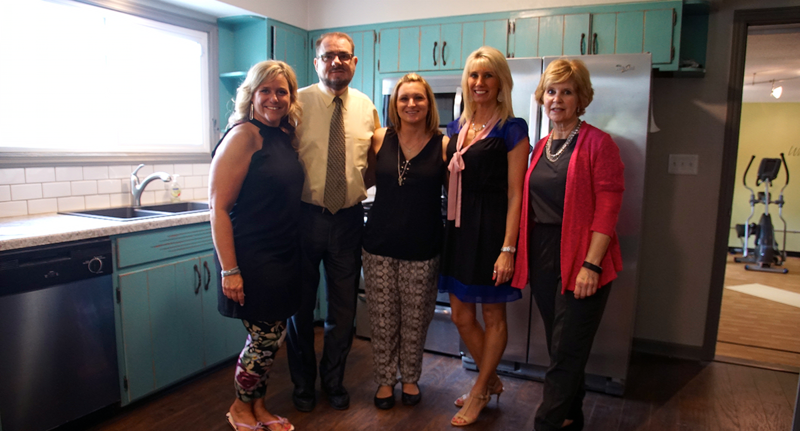 Thank you to Barb Fleming, BAF, and Deanna Whetstone, Whetstone Interiors, and the Blakley Team. Dalton’s Food Pantry, the vision of J.R. Dalton, feeds and provides daily essentials to hundreds in need each week. The Food Pantry is set up in the parking lot each Saturday and the people line up for blocks to get food. As the Food Pantry grew it became apparent that the current space arrangement was a hindrance. 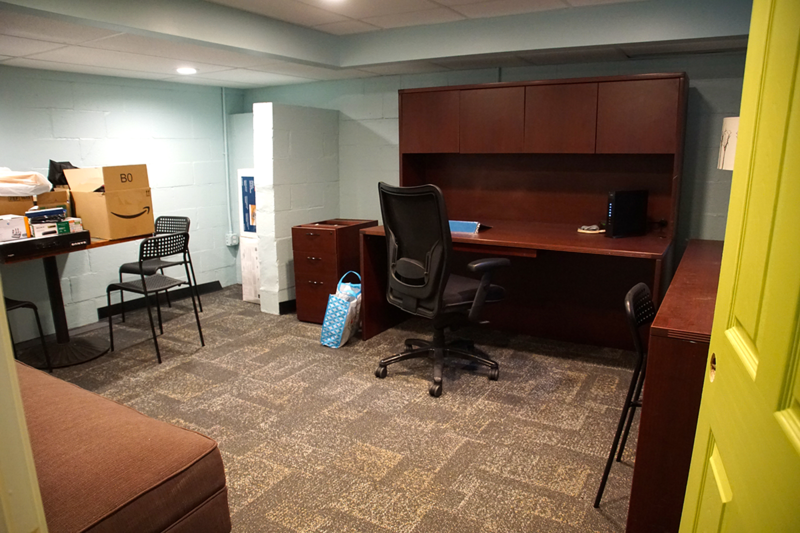 Design for a Difference and Blakley’s stepped forward to recreate the space and to carpet and furnish the space to provide offices, an essentials pantry and pleasant, comfortable waiting areas.